This Pre-Service Check In sheet allows your customers in their own words to note their service concerns while waiting on a service advisor. 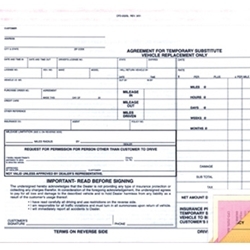 This form can also be customized. Simply add your company name, phone number, and address or completely redesign the entire form. We can help you with both.